Exhausted new mothers have a lot to worry about. The health of their baby usually tops that list. The health of the planet does not. With the right support, one parenting practice—breastfeeding—addresses both concerns. Organizations from the American Academy of Pediatrics to La Leche League International agree that breast milk provides the healthiest start for babies. It contains necessary nutrients and antibodies, digests easier, safeguards against food allergies, promotes proper jaw development and encourages normal weight gain for baby—as well as quicker weight loss for mom. Breastfeeding is also an eco-friendly choice. The warm, sweet beverage is produced by a woman’s body in a free and unlimited supply. It requires no landfill-clogging components or transportation fuel. It seems the best of both worlds. Yet a 2012 report from Save the Children ranks the United States last of industrialized countries in breastfeeding support. Reasons include a lack of paid maternity leave and baby-friendly hospitals plus refusal to adhere to the international code banning health professionals to supply new mothers with breast milk substitutes. Free formula makes it easy for new mothers to abandon breastfeeding early. Even though most expectant mothers receive information about the benefits of breastfeeding, the actual learning curve for getting baby to latch on consistently and pain-free often proves difficult. 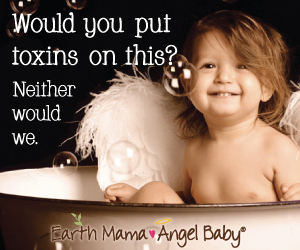 Fights Disease Breastfed babies have a lower risk of asthma, obesity, diabetes and SIDS. Breastfeeding moms decrease their risk of breast cancer, ovarian cancer and postpartum depression. Encourages Bonding Skin-to-skin contact boosts a mother’s feel-good oxytocin levels and gives baby his first sensations of love and security. Enhances Society Breastfeeding contributes to fewer sick days, lower medical costs, a decrease in infant mortality and reduced waste. This gives many women reason to persist despite the obstacles. Maria Teixeira’s first son was delivered via emergency cesarean and spent his early days in the NICU. “I was under heavy medication and my milk was slow to come in, so he was fed formula in the NICU. I panicked and started pumping furiously. Within four days of his birth, I was able to provide enough pumped breast milk to get my son off formula completely,” says Teixeira. “The nurses were shocked. He never did latch on, but I nourished him with pumped breast milk for one year. This past spring saw a renewed effort by consumer and health organizations to end the marketing of infant formula in birthing hospitals. Since then, more than 600 hospitals across the country have eliminated the goody bags, and in July, Massachusetts became the second state to ban them completely. New York aims to become the third with the Latch On NYC Initiative that went into effect September 3 and puts formula under lock and key in city hospitals. While it’s less accessible in all three states, formula is still available if needed. Steps like these might be the additional encouragement many mothers need to pursue breastfeeding—the optimal choice for themselves, their babies and the earth. Donna DeForbes is a writer, graphic designer and green mommy blogger who aims to uplift others and inspire change through her creative projects. She is passionate about books, the environment, clean design, natural parenting and living authentically. Her life purpose is to create beautiful things and clever words and to fill the world with love and laughter. A Philly native, she currently lives in Rhode Island with her progressive husband and precocious six-year-old daughter. Read her green parenting blog at www.eco-mothering.com or follow EcoMom on Facebook at www.facebook.com/EcoMom.DeForbes. Sears, William, M.D. The Breastfeeding Book: Everything You Need to Know About Nursing Your Child From Birth Through Weaning. Little, Brown and Company: New York, 2000. The Womanly Art of Breastfeeding, La Leche League International. Plume (Penguin Group): New York, 2004. American Academy of Pediatrics. “Breastfeeding and the Use of Human Milk.” Pediatrics. Originally published online February 27, 2012. Save the Children. “Breastfeeding in the Industrialized World.” Nutrition in the First 1,000 Days: State of the World’s Mothers 2012. May 2012.